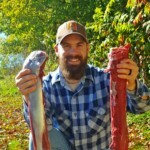 Another contributor to the Outdoor News Taste of the Wild is Kory Slye. 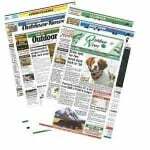 Kory is the Managing Editor of Harvesting Nature, an online outdoor publication focusing on wild game recipes, hunting and fishing narratives, and adventure articles. Kory currently lives in northwestern Pennsylvania with his wife and three young children.